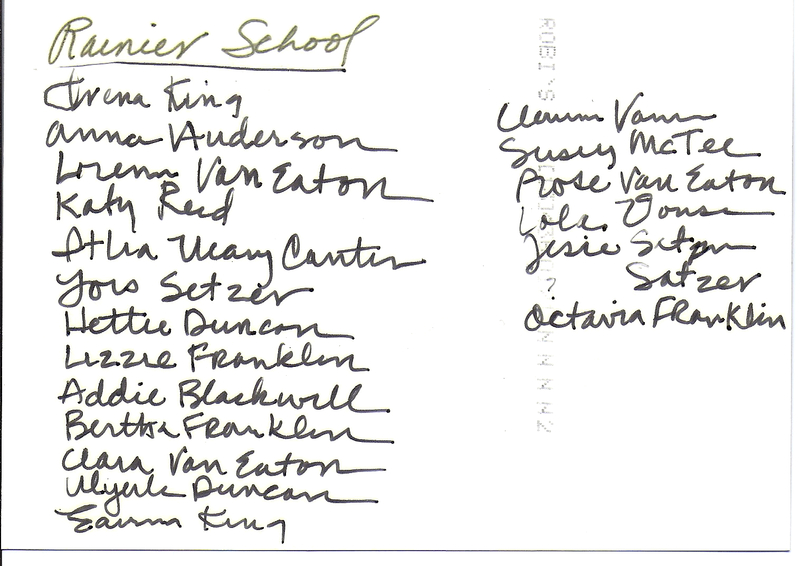 Judging by this photo, most the students at the Rainier School were girls. 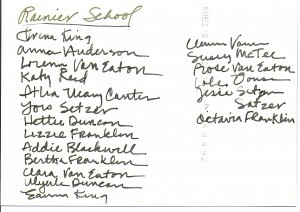 Some of the names are familiar — Orena King, Anna Anderson, Clara Van Eaton, and Laura King, among others. Per Carl Langberg, the school was in the middle of Stringtown Road. The first one burned in 1906 and a second was built. 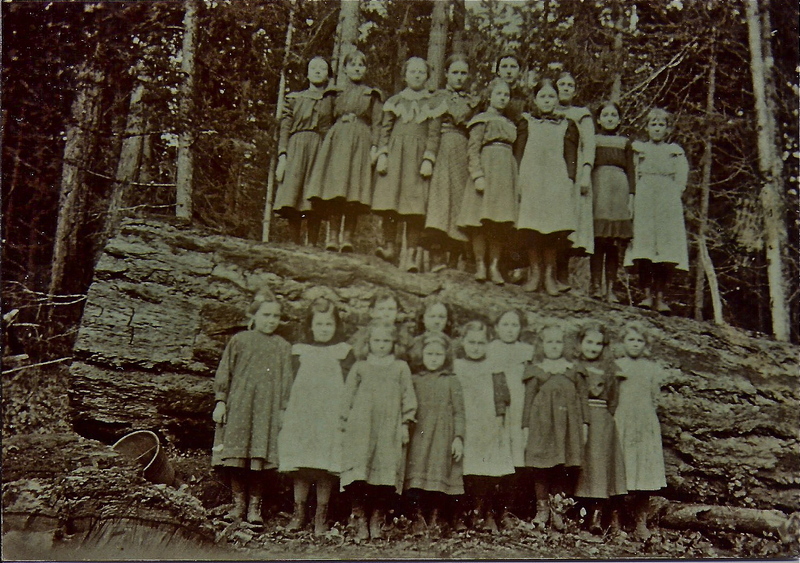 Before the Ohop Valley School was built in 1902, the students went to Rainier. At one time there 55 kids attending Rainier. The first teacher at the new school was Mrs. Clyde Williams, although she probably taught under her maiden name. The next teacher was Mable Parks. 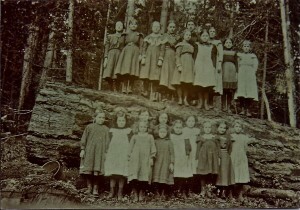 The school closed in the mid 20’s when it was incorporated into the Eatonville school. Photo courtesy of Gary and Debbie Saint and Maxine Games. Info from History Southeastern Pierce County and EHS 4th Anniversary Cruiser. This is one of the earliest pictures of my grand mother Hettie Duncan. A few years later, she was a teacher at the one room school that stood on the corner of the Eatonville Cutoff Road and Stringtown Road. I believe we now own the property where the schoolhouse was, there is still part of the foundation remaining. Do you have any other information about the school that stood at Stringtowna and Eatonville cutoff Rd? May CARTER is Itha May CARTER, my great grand aunt. Her sister, Edith Ann CARTER, married Frank KRONES. Edith and Frank are my great grandparents. So pleased to find this photo.